Vote for MMOCoin to get listed on PalitanX exchange! 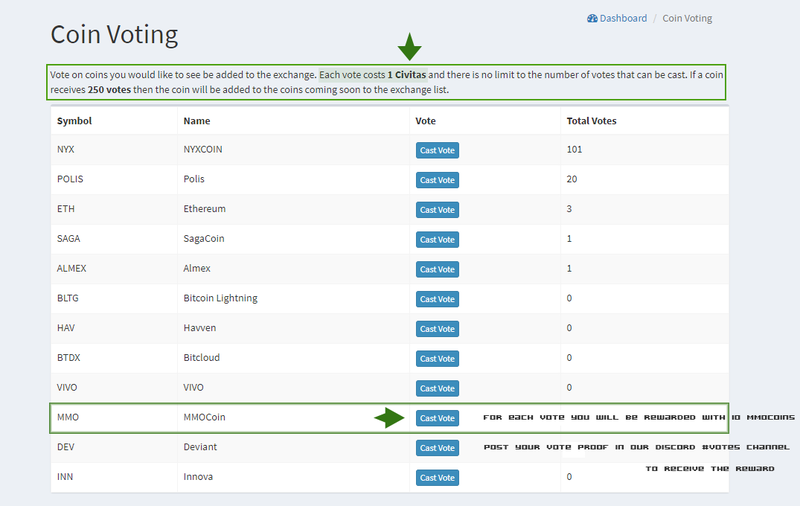 Thread: Vote for MMOCoin to get listed on PalitanX exchange! › See More: Vote for MMOCoin to get listed on PalitanX exchange!